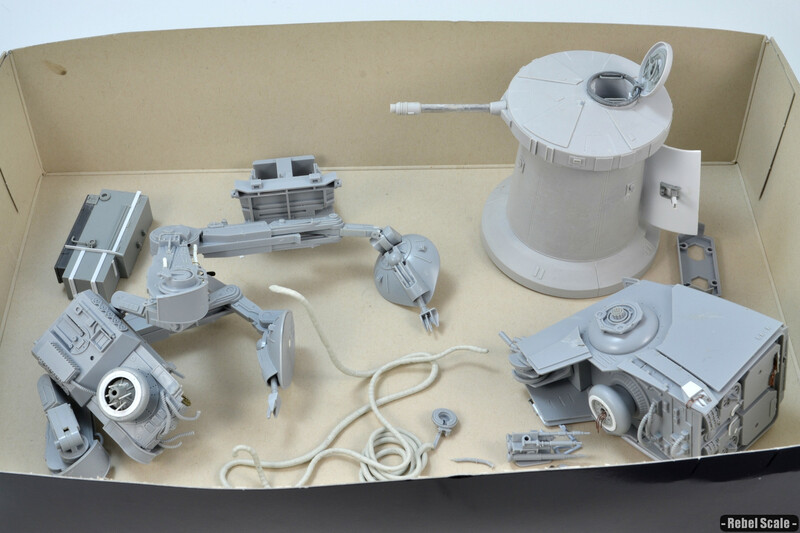 This is a combination of the Bandai AT-ST and JPG's 1/48 Golan Arms DF.9 turret to create a crashed walker diorama on Hoth. There is also a build log at Keeper of the Force. 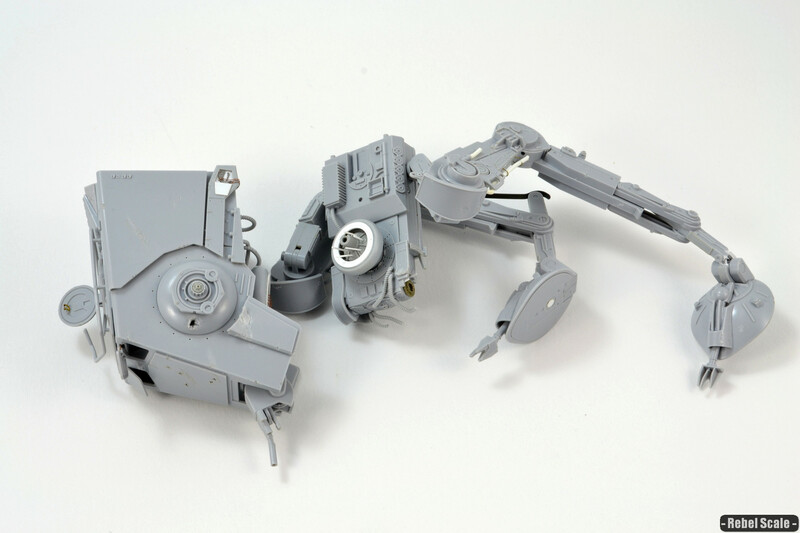 The first steps were building the kit, and modifying certain areas to look battle-damaged. I bent and broke a lot of pieces, adding scoring and blaster holes, added a kill-shot under the left blaster turret, and cut/bent several hoses. Using Jaitea's information, I created the upper pivot points on the legs (near the hull). I used styrene tubes and filled the cavities with Apoxie Sculpt. This created some resistance and allowed me to glue them in place with CA. 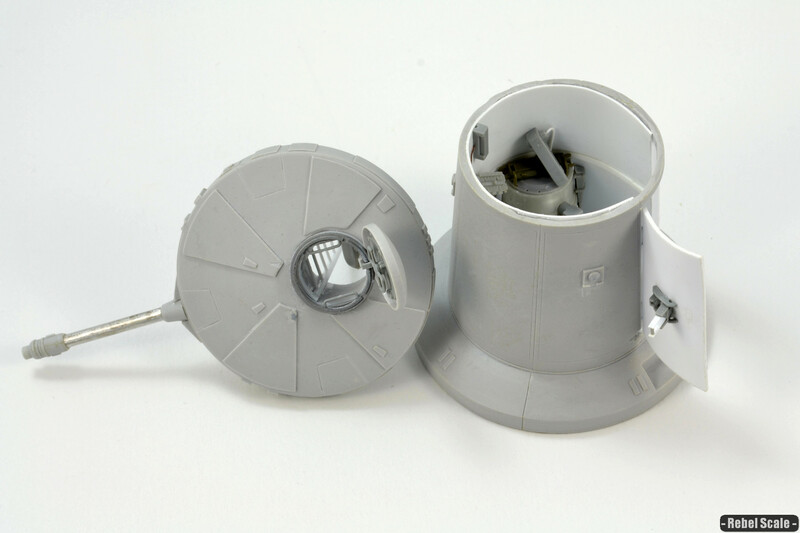 JPG Castings makes an excellent 1/48 Rebel Turret (aka the Golan Arms DF.9). 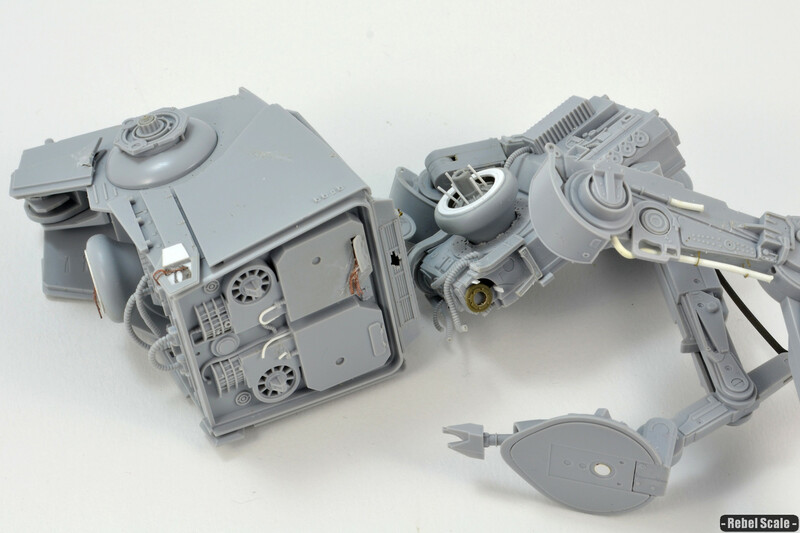 However, the body and upper turret are solid pieces of resin. Because I'm a little crazy, I wanted to open the turret to show off inside. Thus, I had to use a drill and Dremel to router the interior out. I probably took out about 75% of the resin (and weight). This was done outside with a mask to prevent breathing the 2 tons of dust. 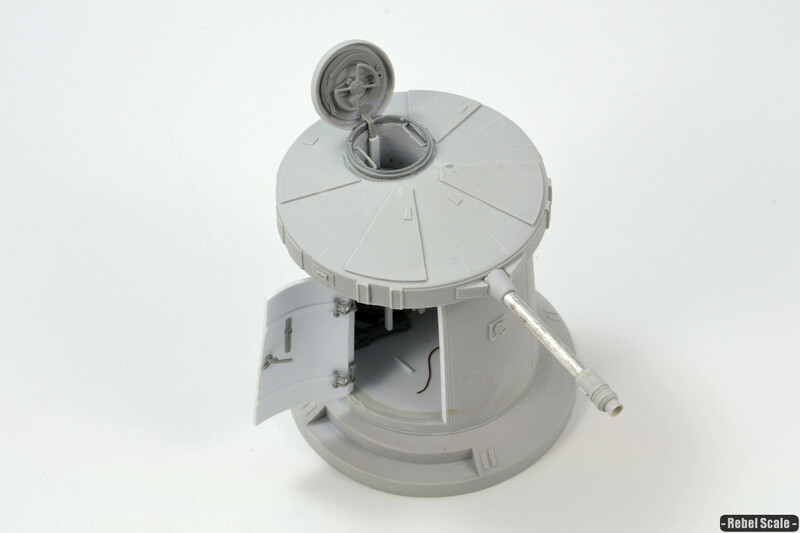 I also drilled out the turret hatch, carefully routering around the edges to create the hatch lip. Using sheet styrene, I wrapped the interior to create a smooth inside. 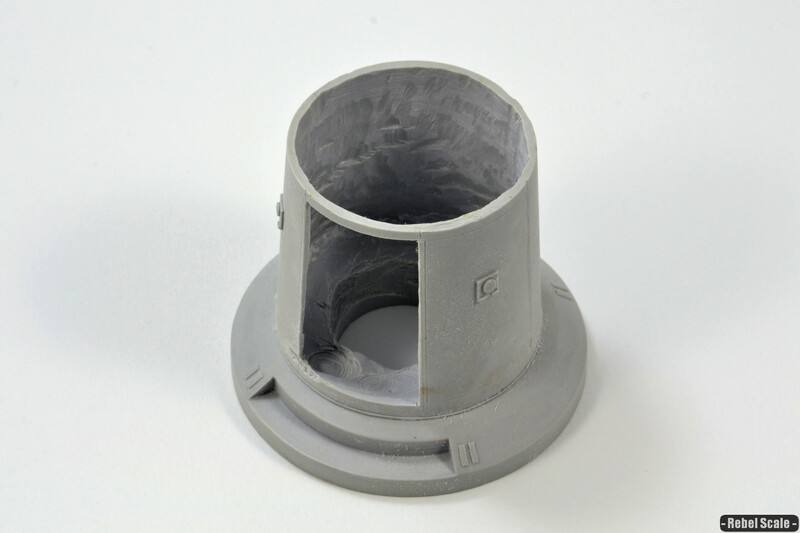 I then held a piece of sheet styrene over a candle and warped it to create the curved door. Finally, I added details to the turret, such as the hatch handles, door handles, ladder, power generators, etc. Because there are no interior shots of this, I had to make up what it looked like. So, I placed two small generators on opposite sides of the door (making a triangle), which allowed plenty of room for the gunner to climb the ladder to the upper hatch. Additionally, I added small power lines, broken supports, and a kill-shot to the far side. 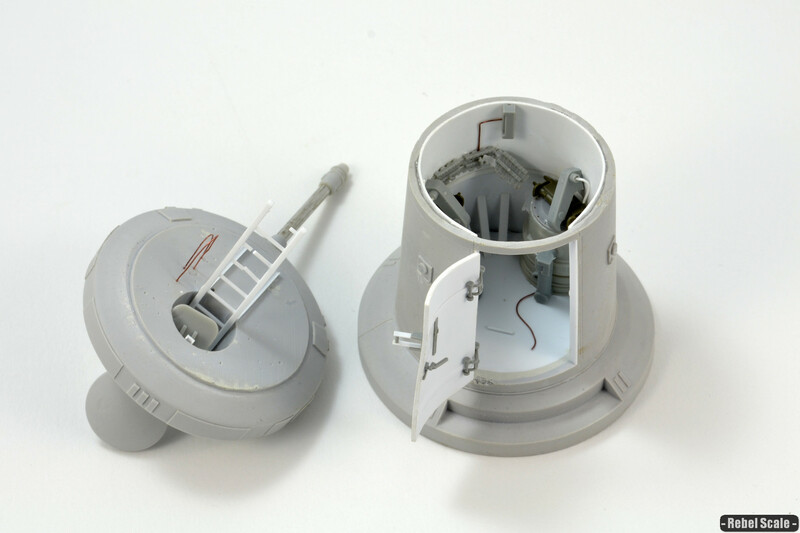 More turret detail, such as the outer door and outer hatch handle. Again, the upper hatch is the original resin part, which I routered out and glued details onto. 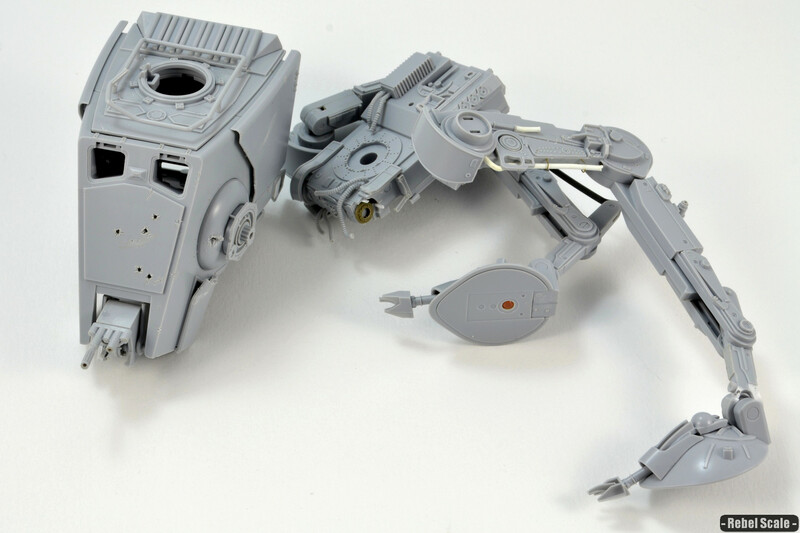 Here's the final detail on the AT-ST. I've added some support rods where the head attaches and a small covering for the feet where the stand would attach. A close-up of the head. You can see the window hatches, one is barely hanging on. 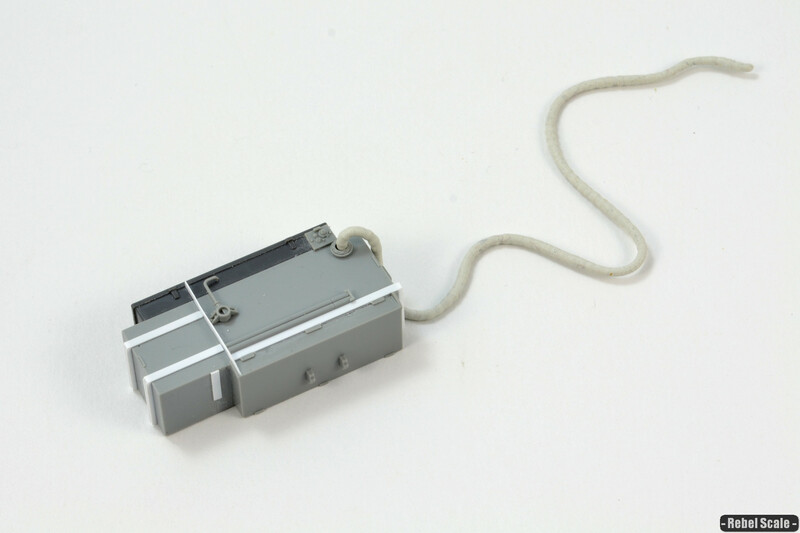 I used a photo-etch tool clamp from a 1/35 German tank to create the hatch handle. On the back, you can see the open cover access panel with wires hanging out, directly above the fan intake. I also created an open cover for the side access panel. 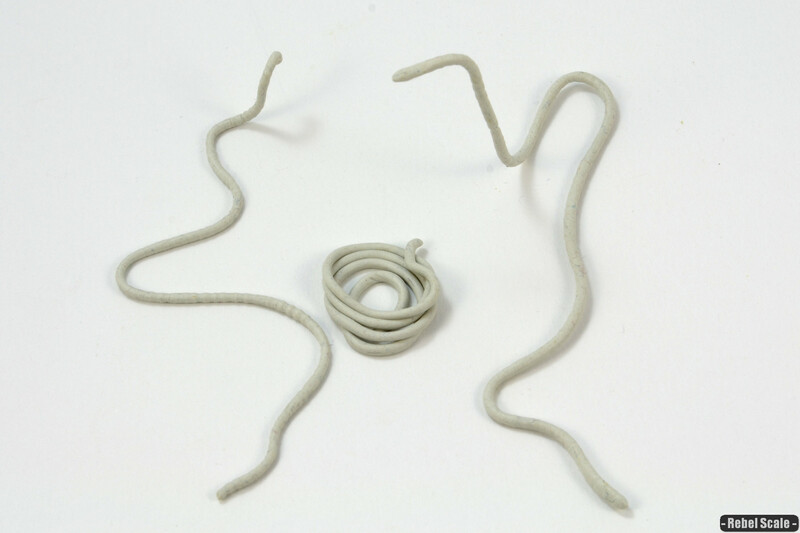 For the power cables, I took Apoxie Sculpt and rolled out thin pieces. I rolled these slightly on some bamboo placemats that created a slight texture, not perfect, but will work. Here is a custom power generator I built along with the power cable that fits into it. Finally, here are all the parts ready to be primed (lots of small bits as well).